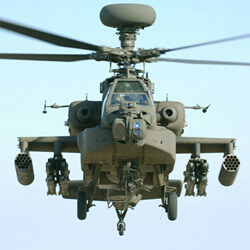 US defence giant Boeing today warned of a price hike in the nearly USD 2.5 billion deal for 22 Apache attack and 15 Chinook heavy-lift helicopters if India does not finalise the contract soon. Pointing out that the company has been pursuing the deal for five years, a top Boeing executive here said it would be in the interest of all concerned if a decision was taken. "There is a point (till which) our ability to quote price is limited. We are inching closer and closer to that point," said Boeing India President Pratyush Kumar. He said out that Boeing has reached a stage where it feels that it would be in "everyone's interest to have a decision". Kumar said that the original Request for Proposal (RFP) had a very short validity. "They (Defence Ministry) kept asking for extensions and we did provide them as and when appropriate. It is not always possible to keep extending, because we live in a world where we feel inflationary pressure," he said at a press conference. He was replying to a query as to how long would the commercial bid of Boeing be valid. Sources said that the company can hold on to the price it had quoted for just another "couple of months". Incidentally, the present Defence Procurement Policy does not allow room for increase in price once a bid has been shortlisted. Defence sources have earlier said that in the event of the original manufacturer seeking a higher price than the one agreed upon, the tender can be terminated and a fresh one issued. Sources said the latest six-month extension of price validity was granted in October last year. The US has been pushing for this contract as it will further bolster American presence in the "sunrise" defence market of India. American companies have over the last decade bagged defence contracts worth around USD 10 billion, including for aircraft like P-8I, C-130J 'Super Hercules' and C-17 Globemaster-III, from India.